Tim-21 has been recovered and proven most agreeable to helping Captain Telsa and her team in uncovering the origins of the deadly Harvester robots. But their troubles are far from over. For another team of Scrappers - the bounty hunters who track and kill robotic life-forms like Tim-21 - is hot on their scent and ready to claim their prize! 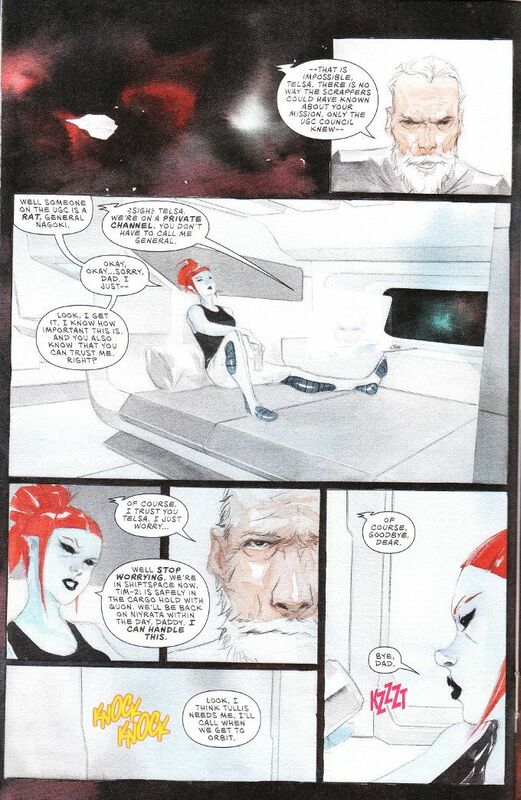 This issue of Descender has a much slower sense of pacing than the previous ones, with all of the action coming at the end. Still, this proves a welcome change as the conversations between our cast - now together for the first time - prove as riveting as any fight scene. And the down-time allows the character of Captain Telsa to be given some much-needed character definition. 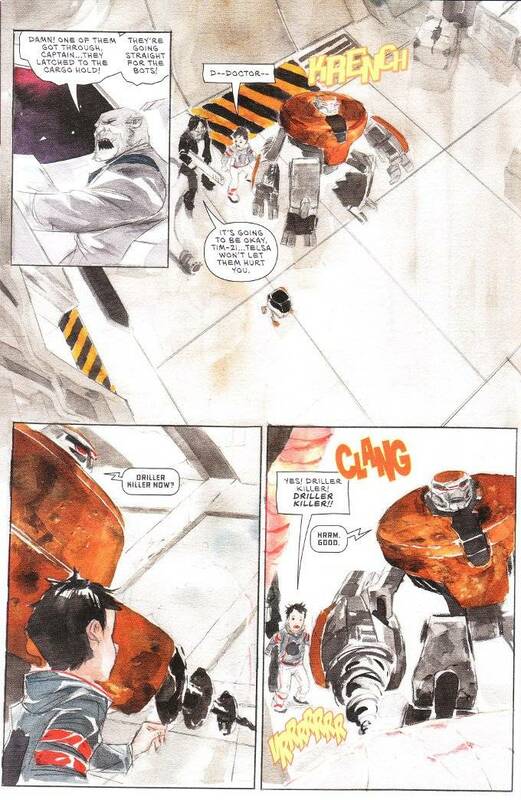 Dustin Nguyen continues to amaze with his artwork. He can make even the most staid conversation interesting to look at. And it goes without saying that the action sequences - once they come - are exciting and well-done.